Chevrolet decided to pull the curtains off the redesigned Aveo before the upcoming Paris Motor Show. 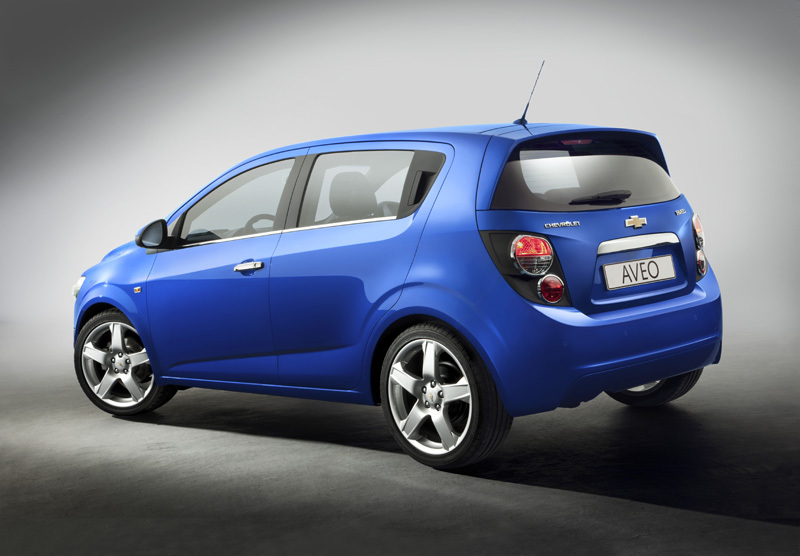 GM says the new Aveo will go on sale in 2011 in the U.S. and Canada. So what can us North Americans expect? Well, GM isn't saying quite yet. However, what we do know is that the Aveo in Europe will be available with a six-speed automatic or five- or six-speed manual mated to 1.2 liter engines making between 70 and 86 hp; or a 1.4-liter unit making 100 hp; ora 1.6-liter mill cranking out 115 hp. Europe will, of course, also get diesel versions. I'd say the U.S. will likely get the 1.6-liter engine. GM touts the fact that the Aveo remains close to the Aveo RS concept from earlier. Whether or not the Aveo will be available with the RS concept's turbocharged engine has yet to be seen. 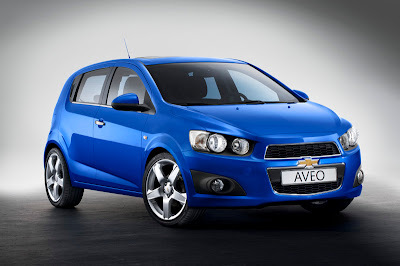 I think the new Aveo looks very good; certainly a step up from the previous generations. In fact, I love the back end. I wonder if the large wheels/tires will be available? To me, they make the car. Let's hope they're at least an option. Looks pretty good. Now if they would just give a decent warranty like Hyundai.